Wedding is a special occasion and so it demands special celebration s well. 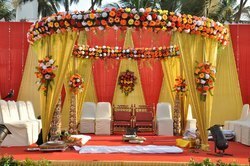 Keeping such specialty of event in view, we offer catering services in weddings. We have separate chefs for each kind of cuisines and at time of preparing menus we also get involved our clients because they know their guests well. 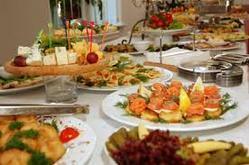 We are specialized in offering cost-effective Marriage Catering Service. Marriage is a dream for every human being and to make it more memorable we offer the best service in catering by offering luscious food and wonderful hospitality to the guests. We prepare the menu as per the preferred choice of the clients and our range of dishes include Indian, Chinese and Fast Food.